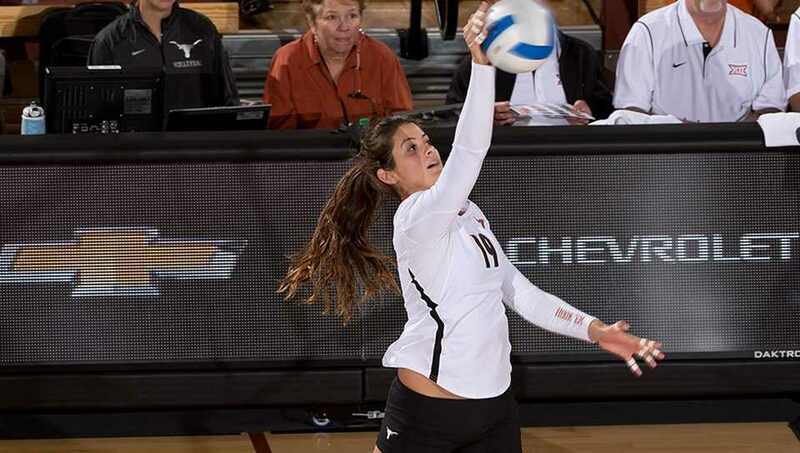 Paulina Prieto Cerame led UT with career-high 14 kills in the Longhorns' victory over Colorado State (photo courtesy of texassports.com). AUSTIN, Texas — The fourth-ranked University of Texas volleyball team won its seventh match in eight outings Sunday as it rolled past No. 14 Colorado State in the final match of the three-day Texas Classic, the Longhorns' last home contest before the start of the Big 12 Conference campaign. It almost has become routine — give the Longhorns an hour and a half, and they’ll produce a three-set sweep. Against the tall and talented Rams (6-2) it was a case of another match, another dominant victory for Texas. The Longhorns did not lose a set in their three matches in the Texas Classic and have swept six of their eight opponents. They have dropped just five sets this season, two in a victory against fifth-ranked Nebraska and three to second-ranked Florida in their only loss.